Since my last post on our downstairs bathroom, Justin and I have welcomed spring with a few small changes around the outside of our home, that have made a big difference! 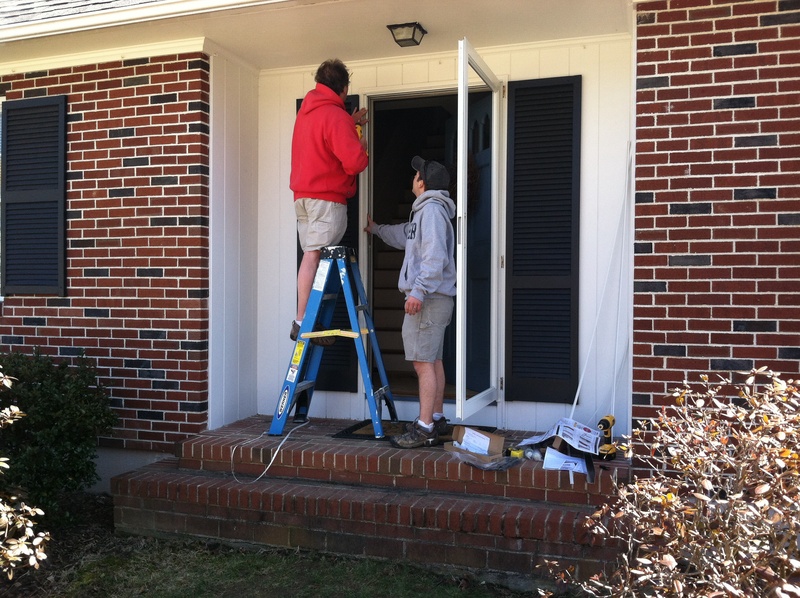 To start, Justin’s parents came up a couple of weekends ago to install our long awaited storm door. 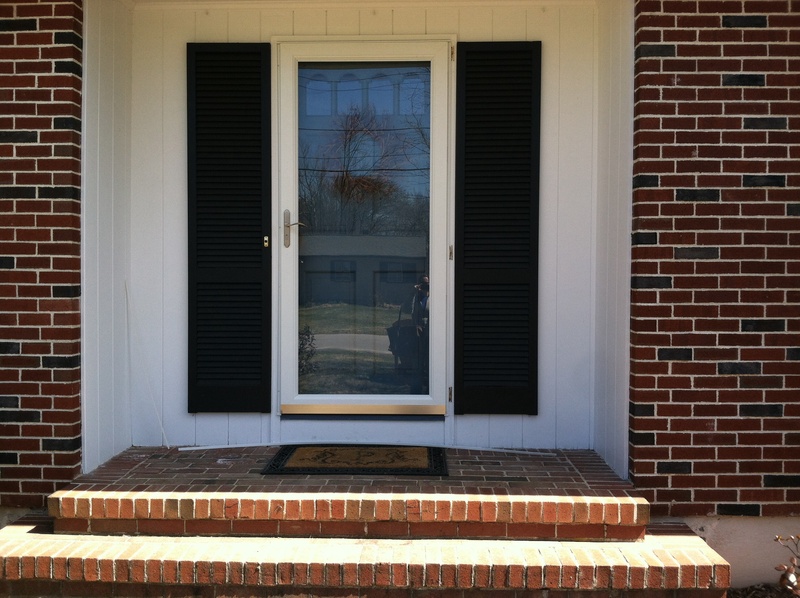 We had a storm door, however it was most likely original to the house, which made it very outdated. 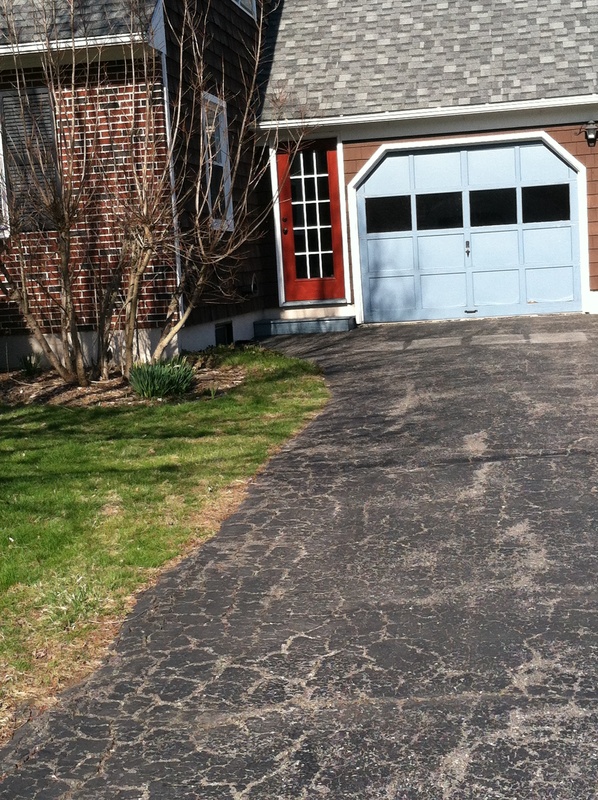 It was the same bright blue color as the rest of the accents on the outside of our home, which we have wanted to get rid of since the day we first drove by. 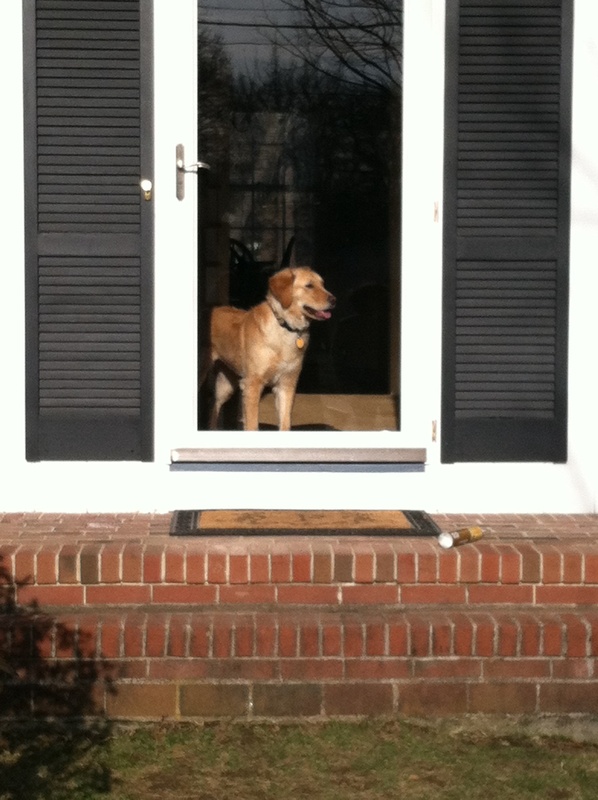 Although it is important for us to update our home’s “curb appeal,” there was another small reason for wanting the storm door. We have found through bringing our beloved fur baby to our parents homes, that she will entertain herself for hours just looking outside. Unfortunately, we do not have any windows low enough for her to see out of, and to keep her from jumping up on the door, I used this as a part of my “we need to update the storm door” argument. 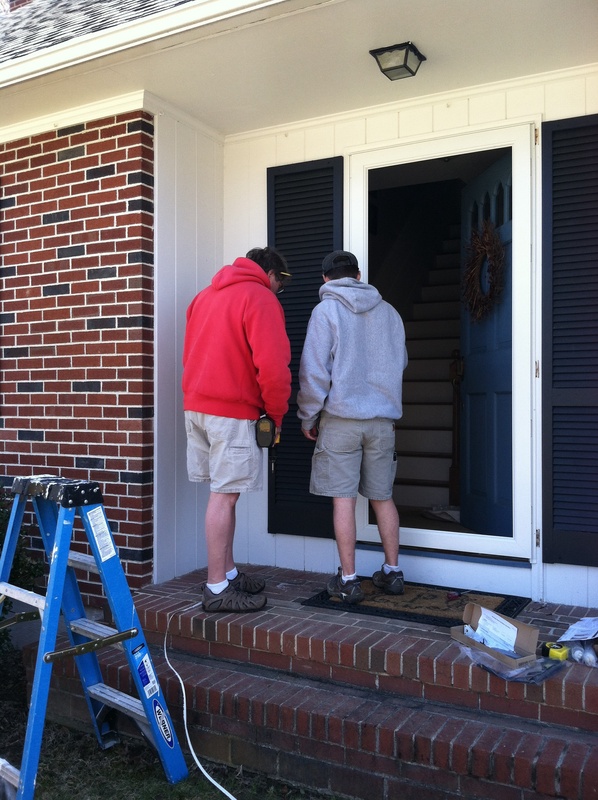 Justin and his dad worked for the afternoon and in no time, our new door was installed! It lets in so much more light and is so nice to have since the weather has turned warmer. 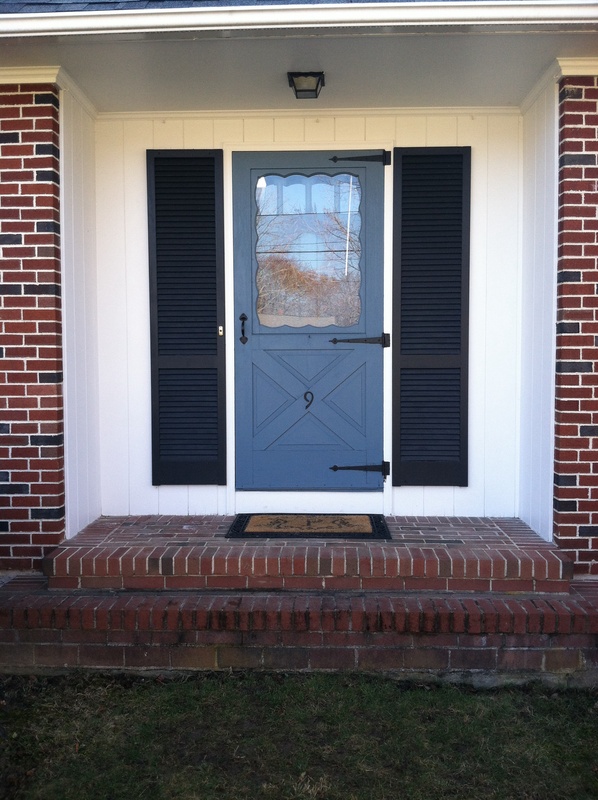 In addition to the storm door, I have done lots of research on door colors and brick front homes to find the perfect color to replace the blue. 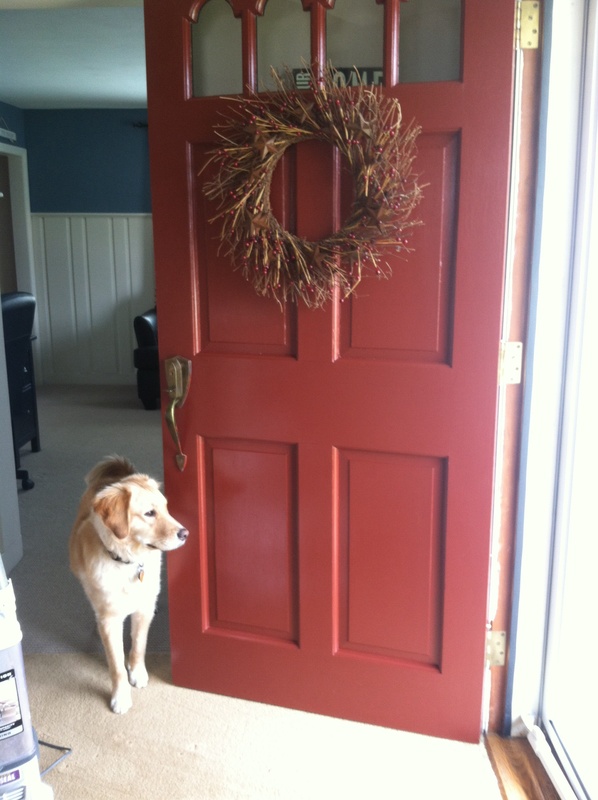 I finally found it, after five different paint samples, and painted the front and side door yesterday! Unfortunately, I don’t have any pictures of our old door entering our garage, but Justin replaced it with a door my Aunt and Uncle gave to us after adding an addition on to their home. 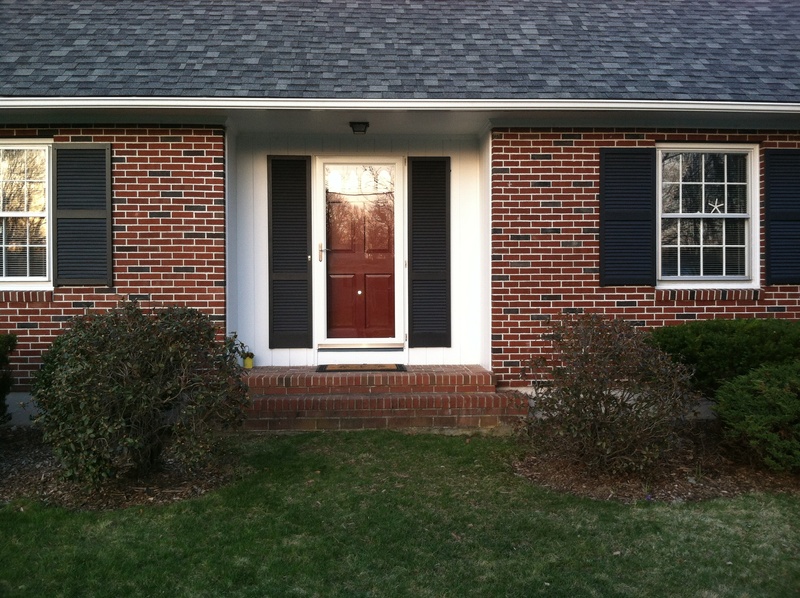 It looks so much better and the color I chose, Benjamin Moore’s Sundried Tomatoes, really compliments the brick nicely! 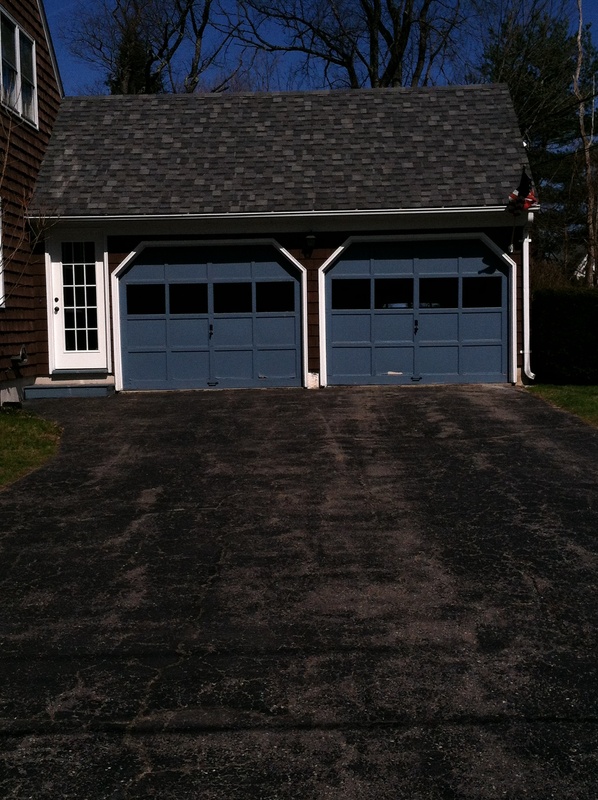 Now how do I explain painting the front doors red with bright blue garage doors? 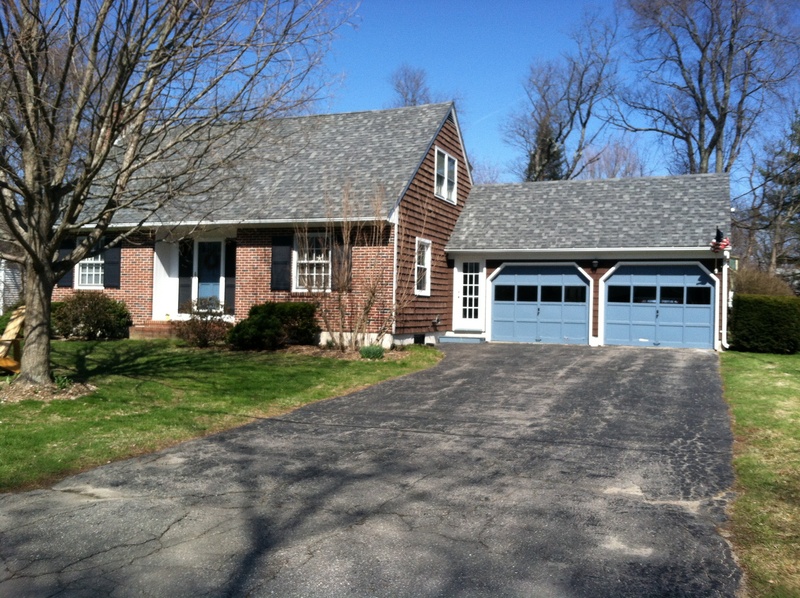 The last and most recent change we have made to the outside of our home, is replacing the garage doors. They were most definitely rotting and the metal tracks were no longer any good. Until today, Justin didn’t even have a garage door opener for his side. 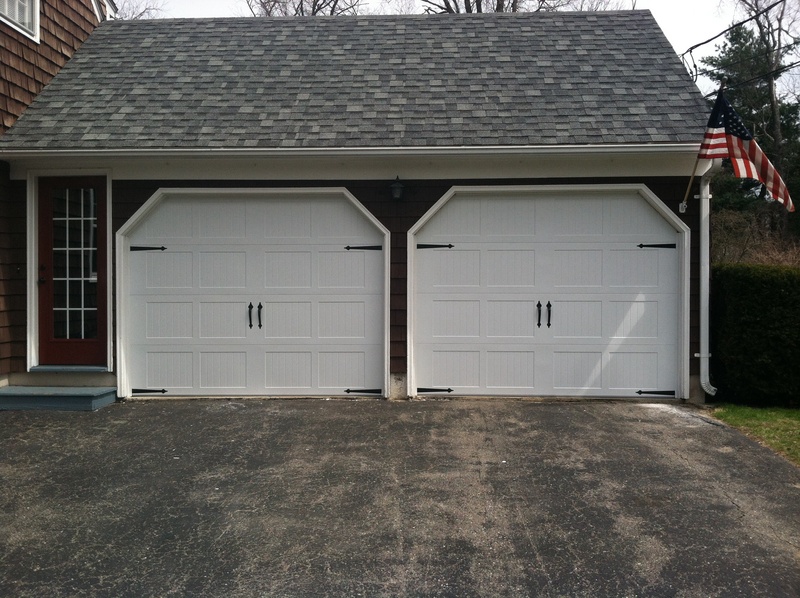 This week is my April vacation, so after getting a few quotes on garage doors last week, we figured what better time then now? 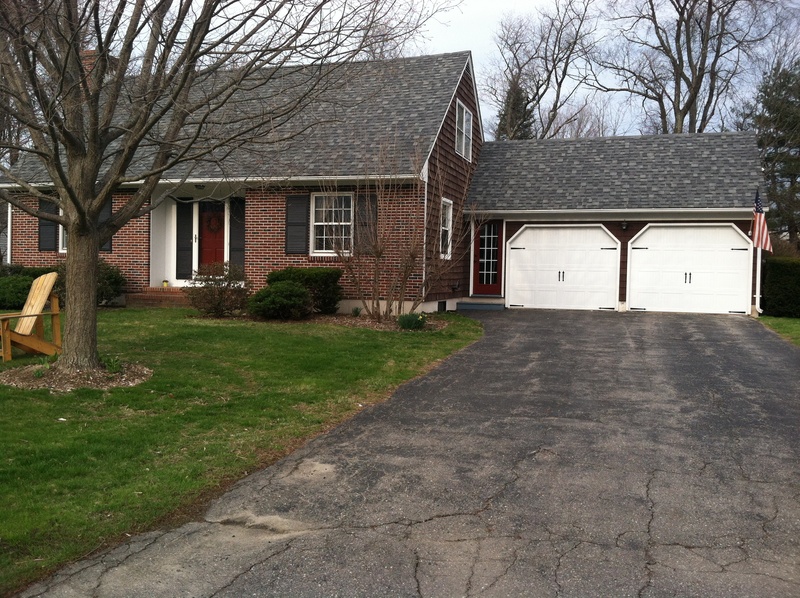 In just a few short weeks, the outside of our home got a much needed facelift!